Diesel is an important fuel for many people. Farmers, truck drivers, train engineers, construction workers, and even your average everyday commuters depend on it to power their equipment and vehicles. But recently, alternative fuels such as ethanol and compressed natural gas have become popular. Biodiesel is one of these fuels gaining popularity. But why is biodiesel necessary when we still have normal diesel, and what are positives and negatives to this alternative fuel? Biodiesel is a form of diesel that is typically created from vegetable oil or animal fat. It can be mixed with normal diesel or it can be sold as 100% biodiesel. Commonly sold mixes include B5 (5% biodiesel) or B20 (20% biodiesel). But what do we need biodiesel for? There are 3 main reasons for it. First, fossil fuels are a limited resource and won’t be around forever, so making a new fuel based on something we can grow over and over (vegetables) is a good way to reduce our dependence on unrenewable fuels. Second, biodiesel has the potential to reduce the amount of greenhouse gases put into the atmosphere. Finally, the production of biodiesel creates many new jobs, with a good percentage of those in agriculture. Biodiesel has its share of pros and cons. On the positive side, biodiesel reduces the amount of pollutants and carbon dioxide put out by diesel engines. Biodiesel is also non-toxic and biodegradable. A major benefit is that we can produce it in the United States using our own crops and animals. On the negative side, fuel economy with biodiesel is lower than normal diesel, and the cost of biodiesel is higher as well. Also, it is not well known if 100% biodiesel can cause long term harm to diesel engines. In the end, diesel won’t be around forever, so alternative fuels will need to arrive to take its place. Biodiesel still has a long way to go before it completely replaces diesel, so hopefully the list of advantages will grow and the disadvantages will disappear by the time biodiesel is the only diesel. Crumb rubber is a type of infill made up of grinded vehicle tires, which is the most common infill in synthetic (or artificial) turfgrass. The infill is used to help keep hardiness of the sew fibers. It is a similar process to what sand does for the natural turfgrass (Synthetic Turf Council). But what is the issue relating to crumb rubber infill? Is there any alternative to use a different infill for synthetic turf? 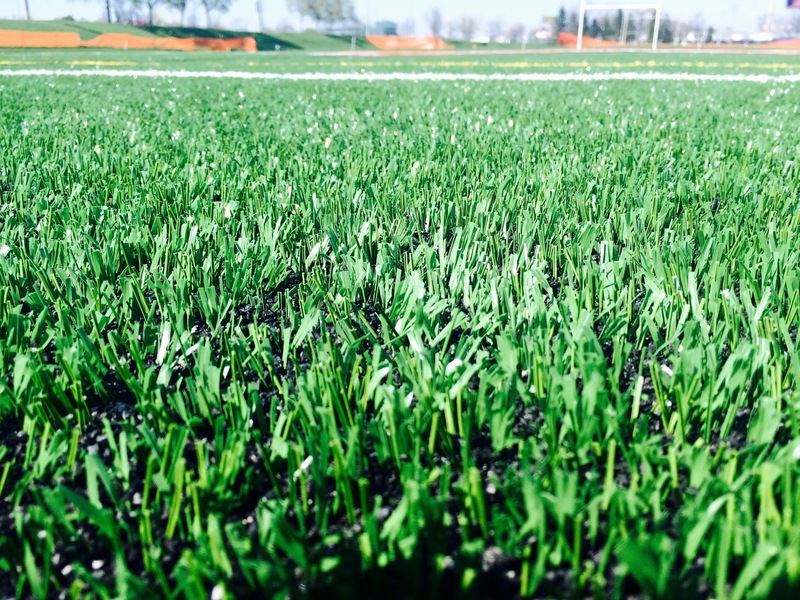 There has been concern from the public and athletes about the use of recycled crumb rubber in synthetic turf. Recently, there has been an increase of people getting cancer who have played on the synthetic turf and are accusing the crumb rubber infill for the cancer. 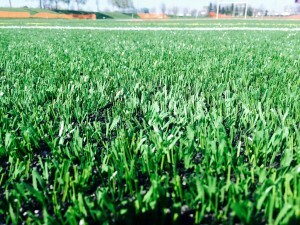 Currently the EPA, CDC, and other federal agencies are investigating the connection of cancer and the crumb rubber use in synthetic turf (EPA). Schools and other places that use crumb rubber have removed their synthetic fields or changed the infill due to the possible risk. Amanda Folck is a Senior in Sustainable Plant Systems: Turfgrass Science with a Minor in Plant Pathology. She currently works as a Turfgrass Student Assistant for Ohio State. This summer, she will be in the United Kingdom for her internship working with Arsenal Football Club! You can follow her internship at http://u.osu.edu/arsenalintern/. Last month, the Kroger pharmacy where I work was stocked with no-prescription Naloxone. A new DEA policy, introduced in autumn 2015, allows pharmacies to sell Naloxone without a prescription. Naloxone is a medication used to treat heroin overdose. Pharmacists are given the discretion to dispense the Naloxone and counsel patients on how to combat overdosage. This policy is great news for Ohio, because Ohio has one of the highest overdose deaths with heroin. While Kroger doesn’t support heroin usage, they do support families trying to overcome the addiction. “We want families dealing with addiction to know that they can count on having this drug available in the event that they need it.” – Jeff Talbot VP of Merchandising for Kroger. About 2,400 Ohioans die every year from heroin overdoses. (cite source) A readily available Naloxone is the first step to lowering that statistic and saving lives. The next hope is that it will user them into treatment. However, drugs like Naloxone are not cheap. A two dose box of Naloxone is $80 out of pocket. Customers must go through consultation with a pharmacist before the drug can be released. WKRC. “Kroger Pharmacies to Offer Naloxone without a Prescription in the Tri-State.” WKRC Cincinnati. SINCLAIR BROADCAST GROUP, INC., 12 Feb. 2016. Web. Over the past couple of years the increase in demand for craft beer has soared. Whenever people go out now it seems that they steer away from the bigger beer names such as Bud Light, Coors, and Miller, and move more towards the local and craft beer selections. Because of this there has been an increase in local brewing operations, which leads to a higher demand for hops. According to an article from the Ohio Farm Bureau “Hopping in Ohio”, the number of microbreweries jumped from 58 to 93, with about 30 more in the planning process. The purpose of hops in beer is to “balance the sweetness of malt in beer” (Graves 1). This is the first time that hops has made a comeback in about 100 years in Ohio because of Prohibition and also insects and mildew were a problem before they were moved to the Pacific Northwest. It excites me to see business like this moving back into the state. It will open up another market for people to get involved in, in both the growing, brewing, and selling of the hops and beer. The government also seems to support the growing business. Graves states in her article that the fee to get a license to brew has been lowered, as well as allowing businesses to open a tap room where the beer can be consumed in the same place without having to pay for another license. I fully support the growing of this business and am excited to see what it can grow into. I might even consider starting a small operation myself in the future.